A winning combination: How French cuisine and a Yorkshire liqueur created a perfect winter menu. 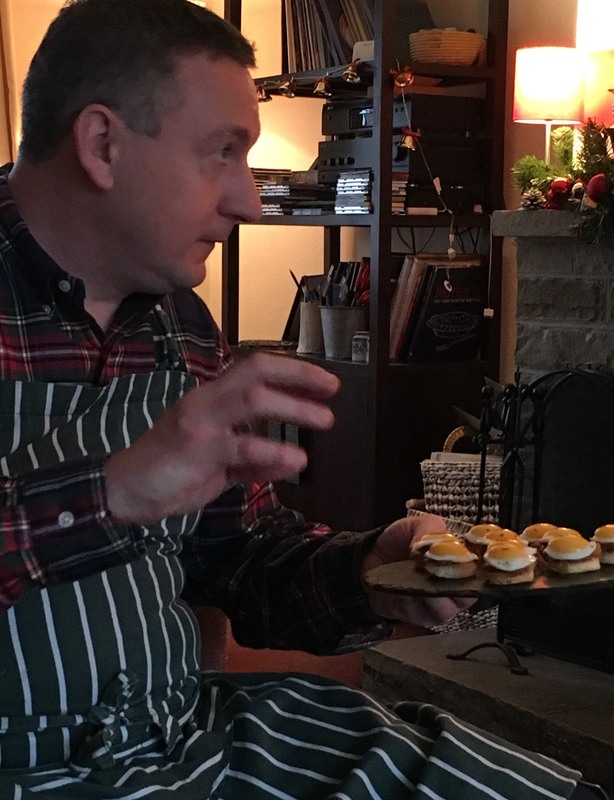 On a dreary December Day Yves invited Sir James Aykroyd to try the delicious winter menu he had created. Using Sir James’ Brontë Liqueur as the foundation for the three dishes, Yves perfectly combined traditional French cuisine with a Yorkshire liqueur steeped in the county’s history. Sir James first discovered Brontë Liqueur, not in his home county of Yorkshire, but 6,400 miles away in South America. Four decades later Sir James constantly looks for creative ways to use Brontë Liqueur, to widen its appeal beyond an after dinner drink. 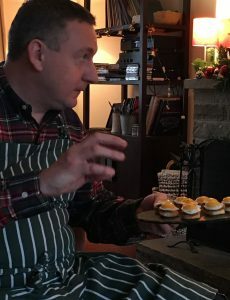 He’s already discovered that it tastes great with fizz to create a Brontë Royale, as well as a range of cocktails and wanted to see how it pairs with gourmet cuisine. With its unique taste of blackberries, sloes, wild honey and jasmine, Yves created three dishes to showcase the alluring combination of ingredients. 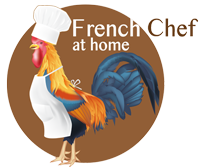 For his Fried Quail Egg on Toast with Red Onion Chutney, Yves simmered the onion with honey and Brontë Liqueur. 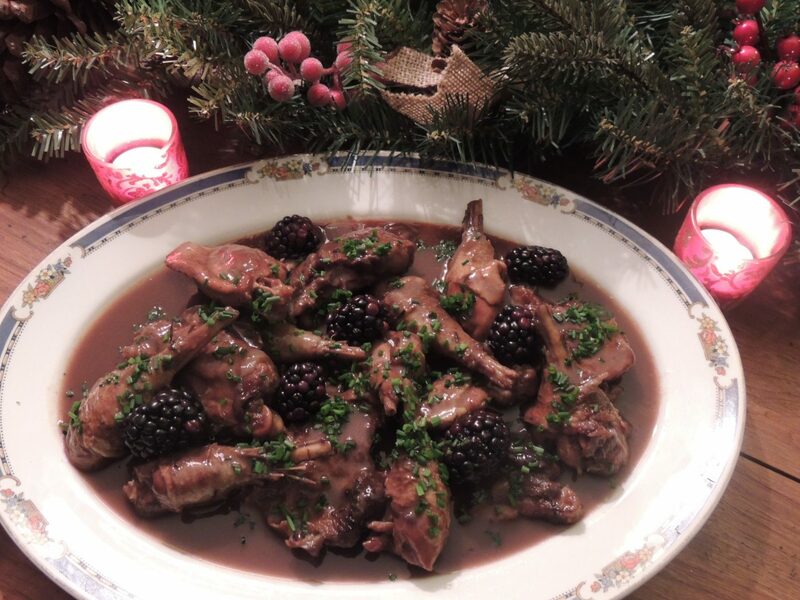 Pheasant was cooked with Brontë Liqueur and blackberries, a key ingredient, for the warming Pheasant Casserole. Finally. blackberry purée was combined with the liqueur to make chocolate truffles, a perfect Christmas gift for loved ones. Whether you’re looking for an alternative Christmas dinner, or simply want to try a new take on liqueur, Yves recipes using Brontë Liqueur are a great choice. Try not to taste too much of the Liqueur while cooking though, you don’t want to run out before you’ve even started. If you’re tired of buying chocolates for the family each Christmas, have a go at making your own with our chocolate and blackberry truffles with Brontë Liqueur. Blend the blackberries to a purée consistency. Finely grate the chocolate. Boil the cream and pour it onto the grated chocolate. Add butter and mix with a whisk. Blend well and add the mashed blackberries and the Brontë liqueur. Mix the whole. Spread on a tray sized approx. 20x20x2cm. Leave to cool in the fridge for 24 hours. Cut out strips of 2cm width and cut these into small cubes. 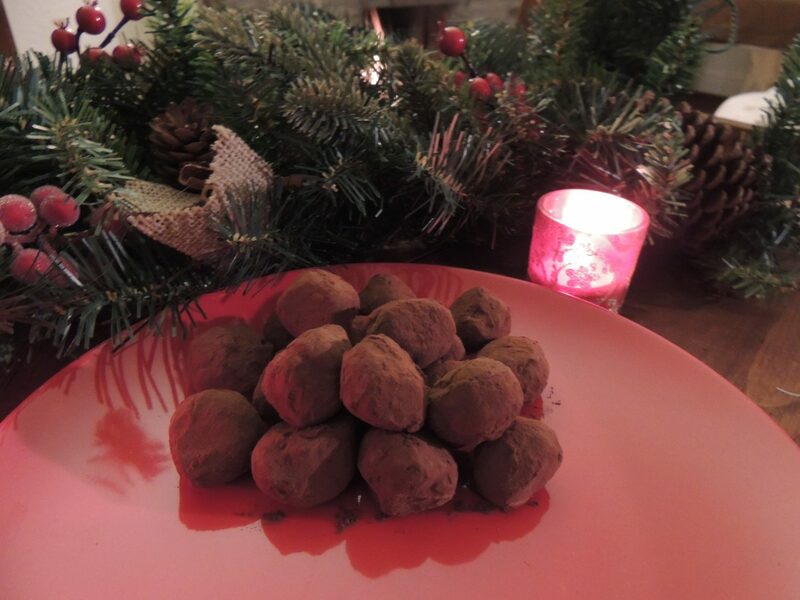 Form the truffles by shaping them quickly with your hands and roll them in the cocoa powder. If you’re looking for something a little different this Christmas, try our pheasant casserole with blackberries and Brontë Liqueur. Slowly brown the pheasant in a saucepan with the olive oil, then add the onions chopped into thin slices. Brown the whole and add a punnet of blackberries, the stock and the liqueur. Bring to the boil and leave to simmer for approximately 45 minutes. Take the pheasant away from the saucepan, keep the juice and thicken it with the cornflour. Add salt and pepper and put the pheasant back in the saucepan with the sauce. Finally, add the remaining punnet of blackberries and serve. 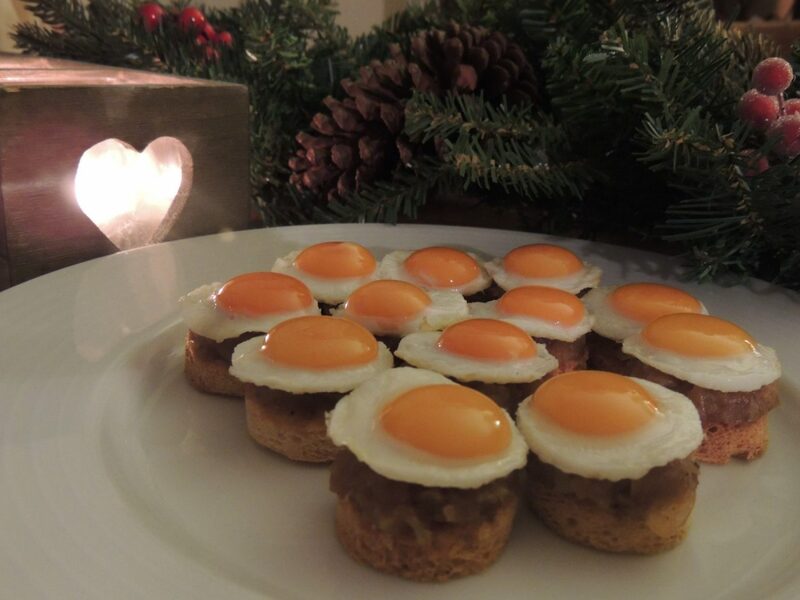 To celebrate authentic Yorkshire food we have created these delicious quail eggs on toast with Brontë Liqueur. Thinly chop the onion and brown it with butter in a saucepan. Add the honey, caramelise the whole and add the Brontë liqueur. Blend well and leave to simmer until a chutney consistency is obtained. Cut out 12 bread circles with a round shape cutter and let them dry in the oven until croutons are made. In a non-stick frying pan, break the quail eggs and cook them the same way as regular fried eggs. Once cooked, make a neat circle shape by cutting through the white with the same round shape cutter used for the bread circles. On the bread, add the warm chutney and on top of it the fried egg.